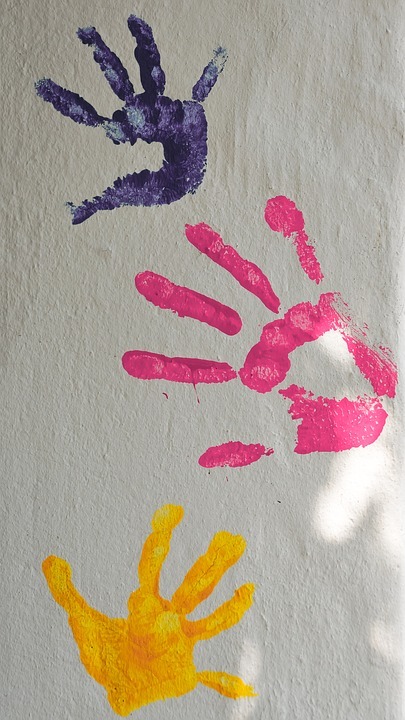 Going back to work after maternity leave can be a daunting prospect, wondering whether you will settle in from where you left, how much may have changed and if you don’t have family to look after the baby, you have to find somewhere for your child to go. You have to decide who to trust with the most important person in your world that, if like me you have spent the past 12 months side by side. I would recommend looking round several nurseries and childminders to get a feel for them and once you have crossed off the ones you know you aren’t going to use, look round the ones you like again. Get a feel for the place and the people. If possible, don’t book in advance, just turn up then you know it’s exactly what you are going to be getting when there hasn’t been chance to tidy or put on a front. Take an email address as well, there is so much to think of that if you think of anything later, you can pop an email over to them with any questions. These are the questions I thought of, did I miss anything out? What is your Ofsted rating? Do you take the children out? How many children are there in each session? How does it work at naptimes? Can you provide lunch? How much extra does that cost? How does it work if you need contractors to come in when children are there? How many staff will be outside when the children are in the garden? What qualifications do staff have? Are they trained in first aid? Will he have a keyworker? Can he rest somewhere if he isn’t feeling up to doing an activity? What are the session times and prices? What do we pay when the child is on holiday/sick? Is there a discounted price? Free holiday days? Lucas’ nursery give 2 free holiday weeks a year. What happens if someone else needs to pick my child up? How much am I charged if I pick up late? It’s worth asking how much screen/tv time is normal too. I agree it is so important to get a feel for the place before sending your child there. It is a good idea to ask lots of questions. This is really informative! I didn’t ask any of these questions, but I did go on personal recommendation, but I would definitely ask them in future! 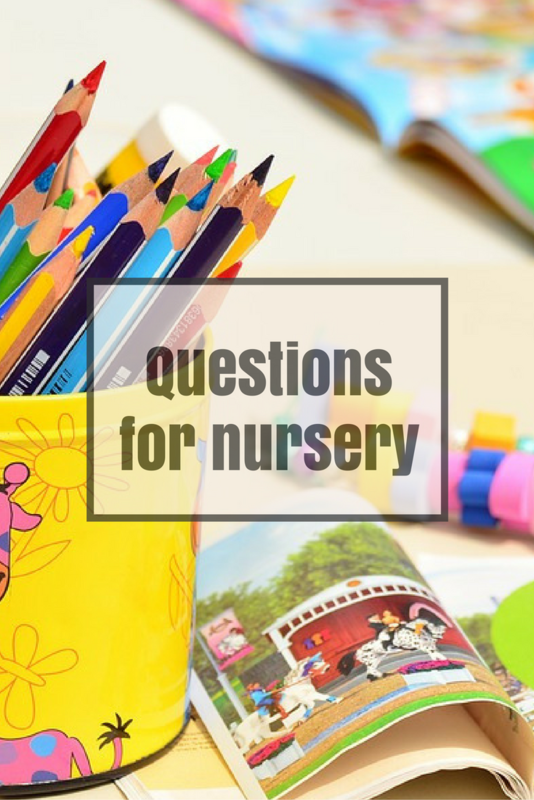 A great list of questions nurseries can be daunting when you have to look round. Parents should print these off as often they go out of my mind. Its so daunting but your list is really helpful for first time mums. We always turned up as a surprise to see what it was like naturally. All your suggested questions are definitely must to know! This is a wonderful list of questions to ask! When my son was little and I was checking out preschools is was frightening. The first place I went to I did NOT have a warm, cozy feeling. So glad I continued the search because we ended up falling in love with a preschool, and now my second son is attending it as well! These are very good questions. I had thought of some but not all.